It’s no surprise that the “World’s Best Airdrop Crew” has selected the world’s best aviation timepiece as their official squadron watch. 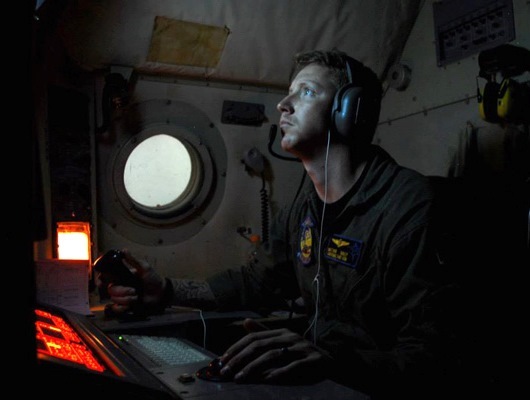 The United States Air Force 328th Tactical Airlift Squadron (TAS) has been providing dedicated airlift support for every major conflict the United States Air Force has been involved with since World War II. Not only has the squadron amassed an impressive 130,000 hours of flight time without a mishap, they were also designated the “World’s Best Airdrop Crew” in 1996 at the McChord Air Force Base worldwide airlift rodeo. With a heritage that goes back to supporting combat operations in Burma during World War II, the 328th has always been there whenever the military needed to move troops and equipment during wartime. It is no surprise that this unit, which has served proudly in Asia, the Middle East, and other hot zones around the world, would choose a timepiece with an equally illustrious history for their official squadron watch. The iconic Fortis B-42 Pilot Professional Chronograph has long been a favorite of astronauts and aviators whenever the mission has been critical. 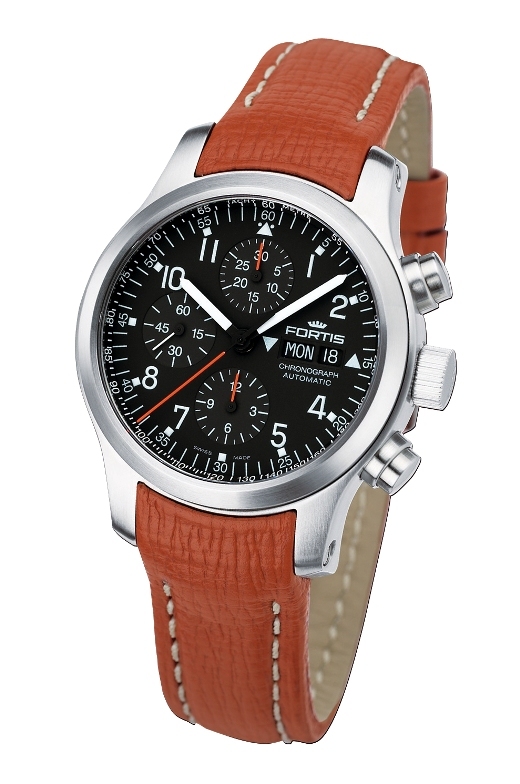 The special limited edition of the B-42 Pilot Professional Chronograph Fortis created for the 328th features the unique 328th Tactical Airlift Squadron insignia with its camouflaged mushroom and the Latin slogan “Tenete Eos In Tenebris,” which translates to “Always Kept in the Dark” in English. 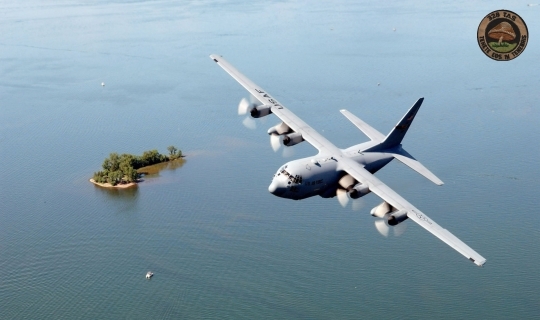 The dial also includes a rendition of the Lockheed C-130 Hercules aircraft currently operated by the squadron directly below the day/date window, along with the slogan “Celebrating 70 years of Tactical Service” wrapped around the 12-hour totalizer at 6 o’clock. There is a second 30-minute totalizer at 12 o’clock. Like all Fortis B-42 Chronographs, this superb tool watch is easy-to-read even under difficult lighting conditions. The entire length of the pencil hands has been painted with bright white superluminova material and the three chronograph hands are a bright orange. There are arrows near the large day/date window at 3 o’clock indicating which direction the crown should be turned when making adjustments, along with a handy tachymeter scale on the chapter ring flange. 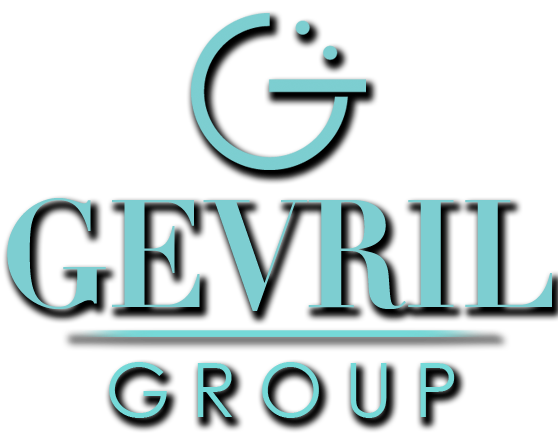 The 42 mm stainless steel case is water resistant to 660 feet and includes an anti-reflective, scratch resistant crystal protecting the dial, along with a clear exhibition back, making it easy to view the precision Swiss made Valjoux 7750 movement within. 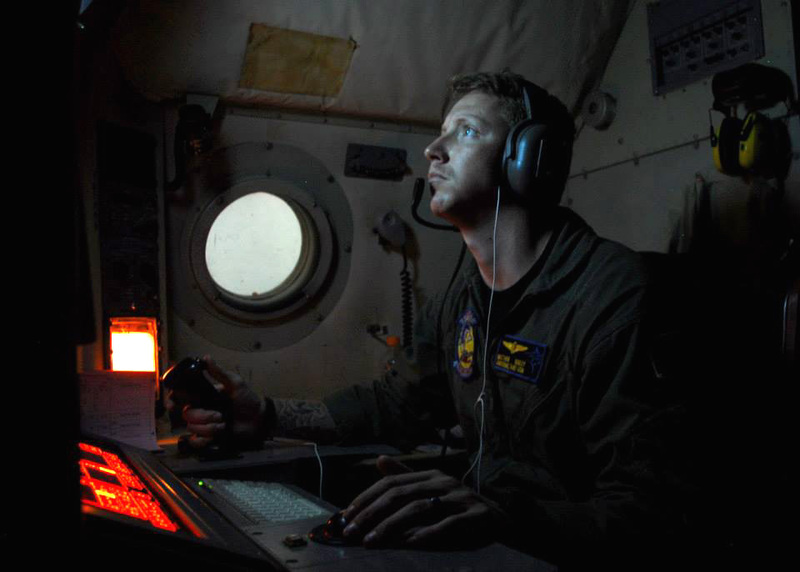 The 328th Airlift Squadron has provided critical airlift support for every major conflict since World War II. It is only fitting that squadron members are now supported by something equally reliable on their wrist. This is a timepiece that the entire squadron can wear proudly while on duty and pass down later as a treasured heirloom. watch that was always ready as well. Over the years, VP-40, as the squadron is known in the military, took their motto seriously, serving admirably in an increasingly dangerous world. 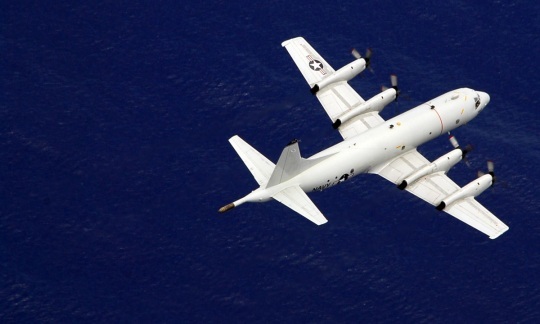 The Fighting Marlins participated in search and rescue operations in the Sea of Japan following the Soviet downing of a Korean commercial airliner in September 1983. They were an important part of the United States-led effort to liberate Kuwait during Operation Desert Storm. They were the first Americans to respond to the attack on the USS Cole in 2000. 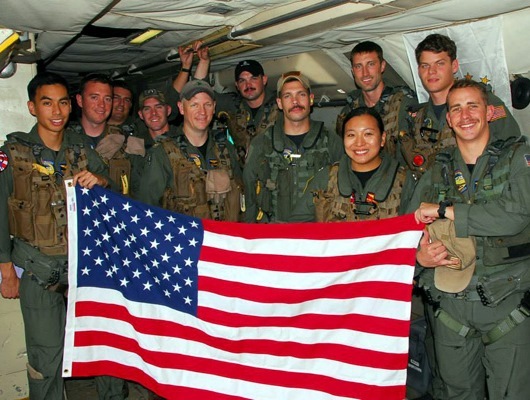 The Squadron supported both Operations Enduring Freedom and Iraqi Freedom and continues to be an important component in the ongoing global war on terrorism. With a history like this, the Fighting Marlins knew they needed a squadron watch that was up to the challenge. 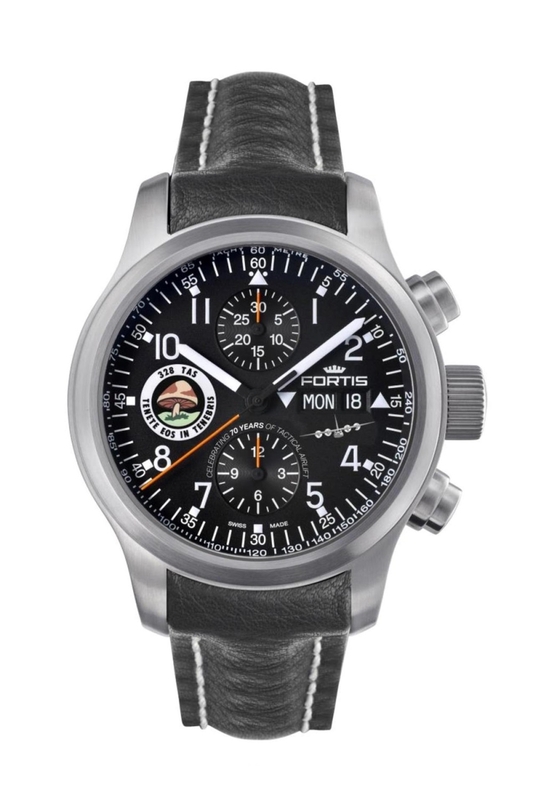 In honor of their ongoing commitment to remaining resolute and ready at all times, Fortis has created a special limited edition of the famed Fortis B-42 Pilot Professional Chronograph emblazoned with the official VP-40 insignia at 9 o’clock. 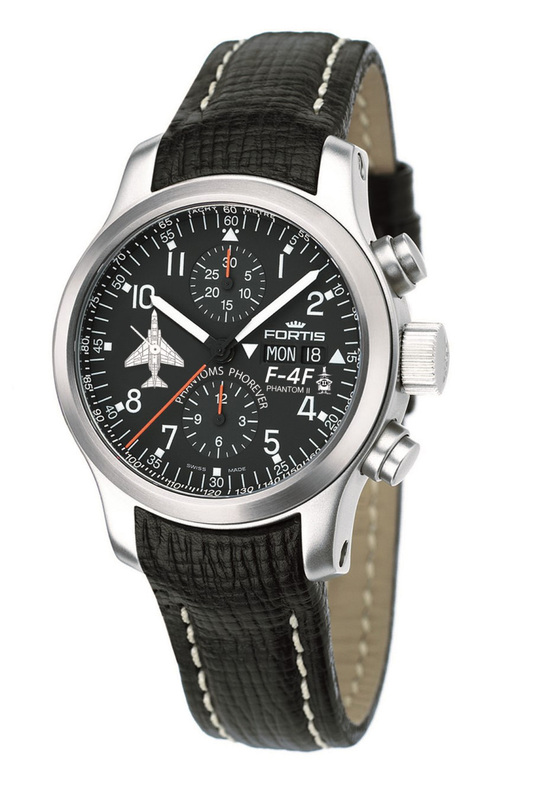 The illustrious Fighting Marlins could have chosen virtually any timepiece as their squadron watch, but they selected the Swiss made B-42 Pilot Professional for the same reasons that other military squadrons around the world have chosen to become part of the popular Fortis Squadron Watch Program. 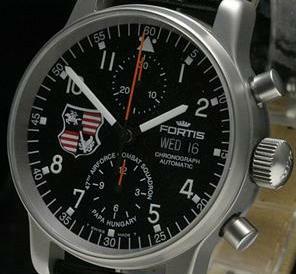 Fortis watches are not merely fashion accessories. They are tough, reliable timing tools that have become standard equipment for some of the world’s most celebrated soldiers, sailors, and aviators. 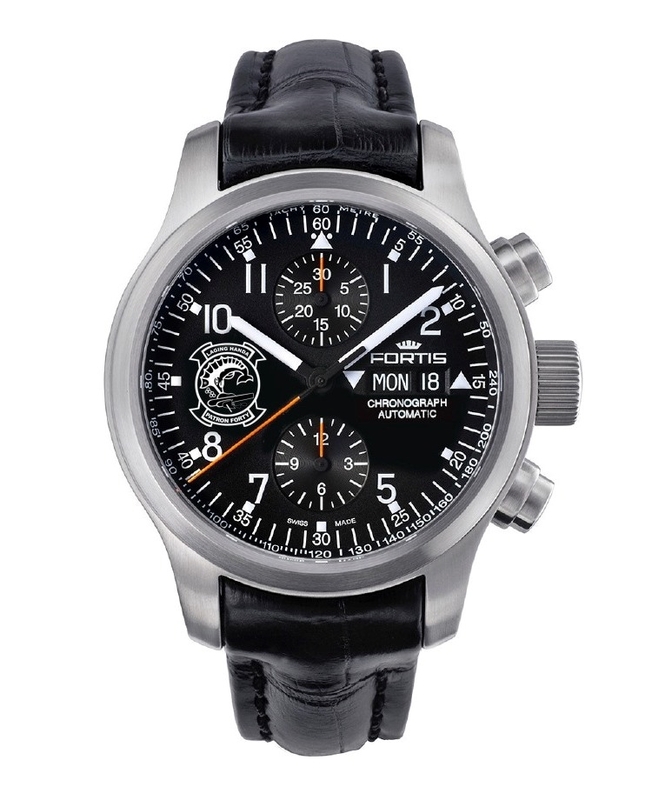 The 42 mm Fortis B-42 Pilot Professional is the perfect companion for a squadron like the Fighting Marlins. With an almost indestructible stainless case that is water resistant to 660 feet, an anti-reflective scratch resistant sapphire crystal and a dependable Swiss-made ETA 7750 automatic movement, this superb chronograph is “always ready,” just like the VP-40 aviators who wear it. With 30-minute and 12-hour totalizers for timing events, an oversize black dial with legible white luminous lettering, a versatile tachymeter scale engraved on the chapter ring, and a large day/date window at 3 o’clock, the B-42 is considered by many to be the ultimate pilot’s watch. The men and women of the Fighting Marlins will wear this unique timepiece with pride. If you’d like to do the same, we urge you to contact an authorized Fortis dealer immediately. While the squadron this watch honors will continue to be “always ready,” supplies of this spectacular limited edition timepiece are not guaranteed to be always available. 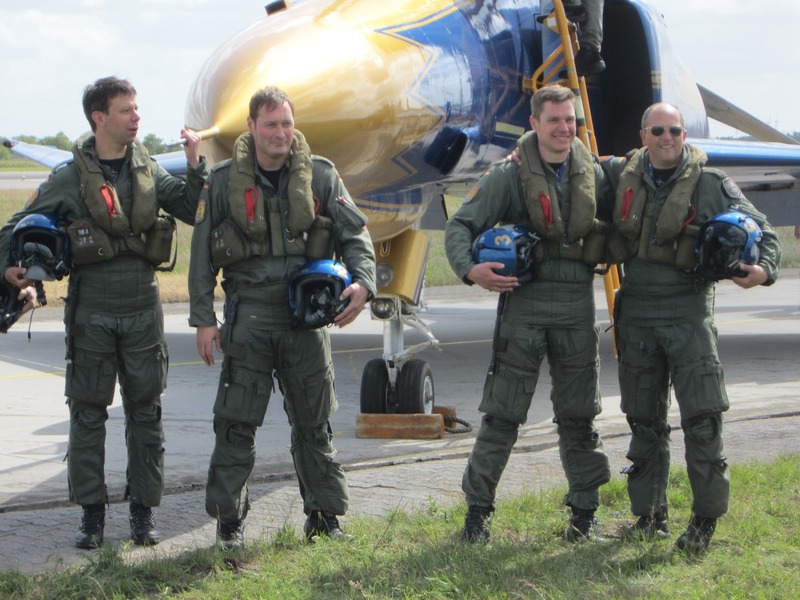 The Hungarian Air Force has had a long and interesting history. The Air Force was founded in 1918 under the short-lived Hungarian Soviet Republic, but was disbanded only two years later at the end of World War I under the Treaty of Trianon. Under the terms of the treaty, Hungary was forbidden from owning military aircraft. A secret air force was gradually established using civilian planes during the 1930’s and in the Summer of 1942, this secret force became part of the Luftwaffe and fought against Russia on the Eastern Front during World War II. After the Soviets took over Hungary in 1947, the Russians began to expand and modernize the Hungarian Air Force. During the cold war, the Hungarian pilots flying Russian MIG fighters provided one of the first lines of defense against an attack from the West. The fall of the Soviet Union brought even more dramatic changes, as the Hungarian Air Force became one of the first air forces in the world to officially change sides. 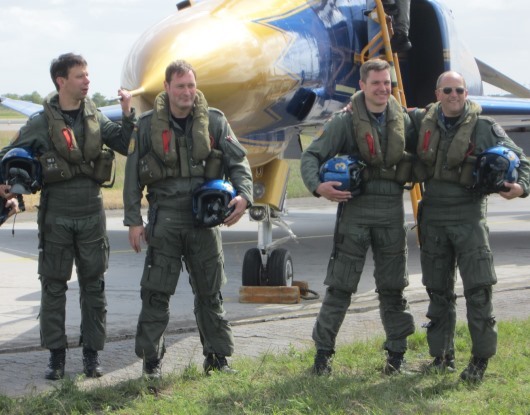 Today, the Hungarian Air Force is a full member of NATO and participates in a wide variety of humanitarian and defensive missions around the world. In 2001, the Hungarian Air Force selected the Fortis Pilot Professional Chronograph as their official timepiece and Hungarian air squadrons have been loyal to Fortis ever since. A special limited edition of the Pilot Professional Chronograph was created to honor Hungarian NATO pilots. 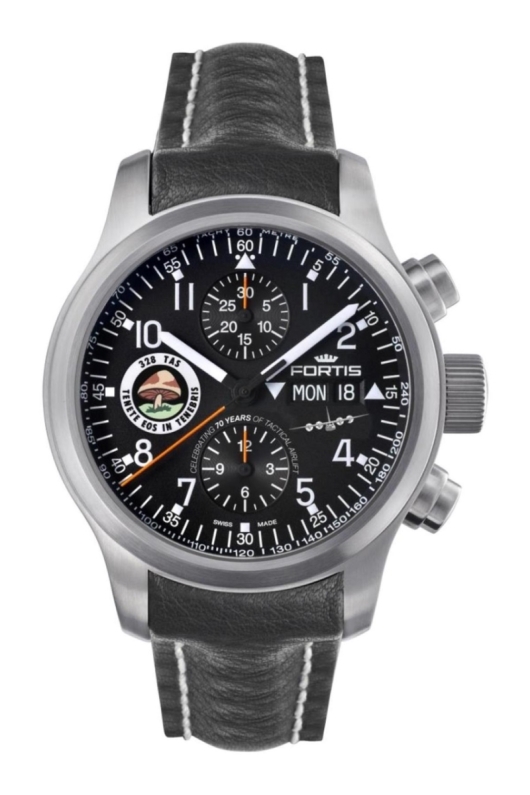 This watch features the Hungarian Air Force insignia on the custom dial at 9 o’clock and the words “Hungarian Air Force” below the small second hand at 6 o’clock. This watch proved popular with pilots and it wasn’t long before the air force’s 47th Combat Squadron based in Pápa, Hungary requested a special version of the Pilot Professional Chronograph for their own squadron. Instead of the Hungarian Air Force insignia, this rare limited edition watch features the insignia of the 47th Combat Squadron at 9 o’clock. 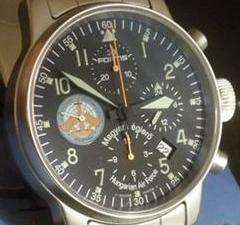 Only 200 numbered watches honoring this elite group of MIG pilots were ever produced. It is not surprising that the Fortis Pilot Professional Chronograph has been selected by pilots around the world as their official timepiece. This rugged 40mm stainless steel watch is water resistant to 100 meters and features a premium Swiss Valjoux 7750 movement that is accurate to within 1 second a day. The clean, uncluttered black dial features bold white Arabic numerals that are clearly visible even in low-light conditions. 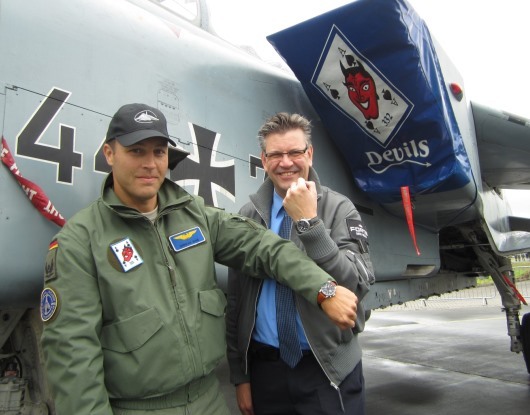 These are professional watches that pilots are proud to wear during active duty and pass down to their heirs later.